This trip to New York my husband wanted to go to a steakhouse which was a bit shocking to us as he typically does not want to be in charge of dinner plans. Initially he wanted to go to Peter Luger’s but the cash only policy was inconvenient, as was the location, and was the group ordering policy of steak for one, two, or three, etc. So we looked and came upon Keen’s. BEST CHANGE OF PLANS EVER. 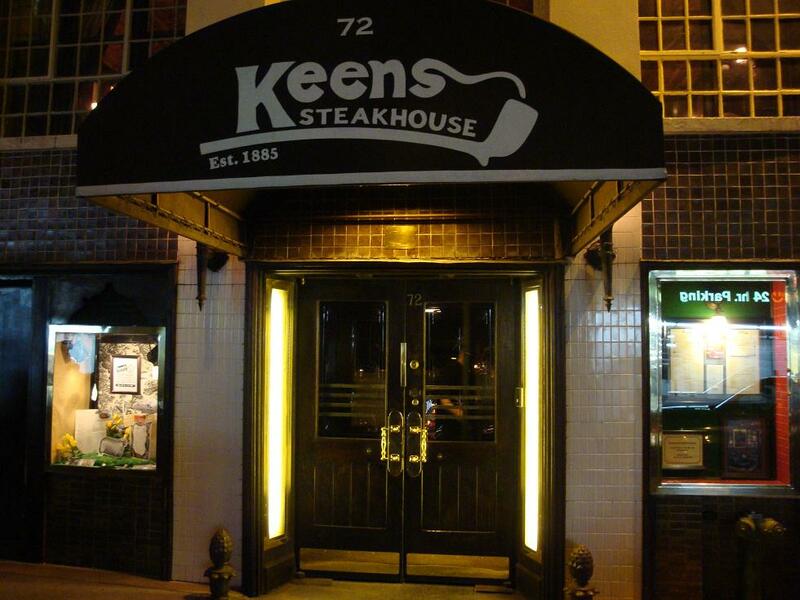 Keens Chophouse was founded in 1885 by theater producer Albert Keen. 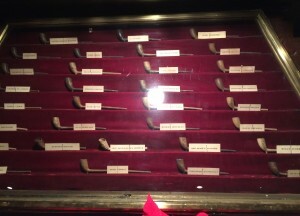 Upon entering you see the largest collection of churchwarden pipes in the world. They are said to have 90,000! As these thin stemmed pipe are too fragile to be transported, guests check in their pipes at their favorite inn/ restaurant where they were registered and stored. The glass enclosed collection includes the pipes of JP Morgan, Teddy Roosevelt, Babe Ruth, Herbert Hoover, Will Rogers, Adlai Stevenson, Albert Einstein, General Douglas MacArthur, “Buffalo Bill” Cody, and Chuck Norris just to name a few. As you gaze upon the ceiling you see where the rest were stored. They also have and impressive collection includes of theatrical memorabilia including what is reported to be the Playbill that Abraham Lincoln was holding when he was shot. 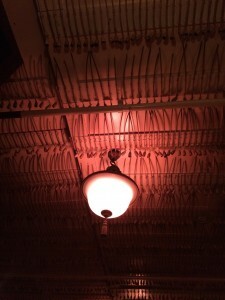 The atmosphere is what you would expect from a glamours steakhouse from the past with mahoganies, and crimson, with exposed brick. There is also a massive and equally impressive life size original museum quality lion painting from the 1800s. Their menu touted freshly made ginger ale. Now, I don’t actually like ginger ale, it always reminds me of when I am sick. As I was intrigued by the concept, on a whim I ordered it. It was amazing. Seeing everyone else’s massive portions we realized a meat order per person would be too much to order. 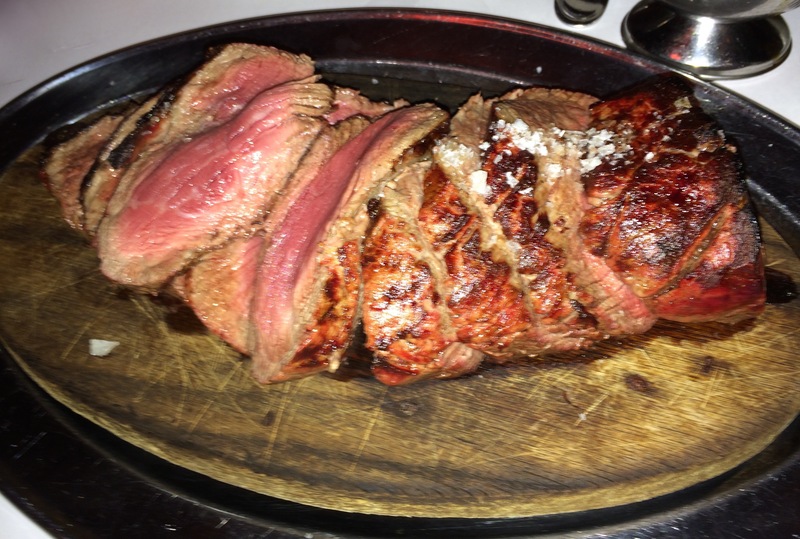 We opted for the chateaubriand for two with three sauces, all of which were excellent. As you can see from the picture below, this was easily 7-8 generous steaks. 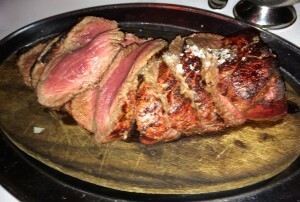 We also elected to try the mutton as they tout that they are the only place in the the United States that serves mutton. Even though we are not particularly lamb fans, it appeared to be a safe bet to order. It too was outstanding. The sides and salads were good and Keens’s Red Berry Bibble with creme fraische was just the right ending to this memorable meal. I can truly say I was satisfied. 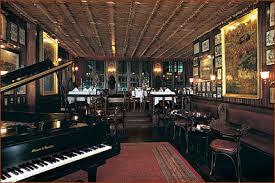 It is definitely worth checking out when you are in New York. 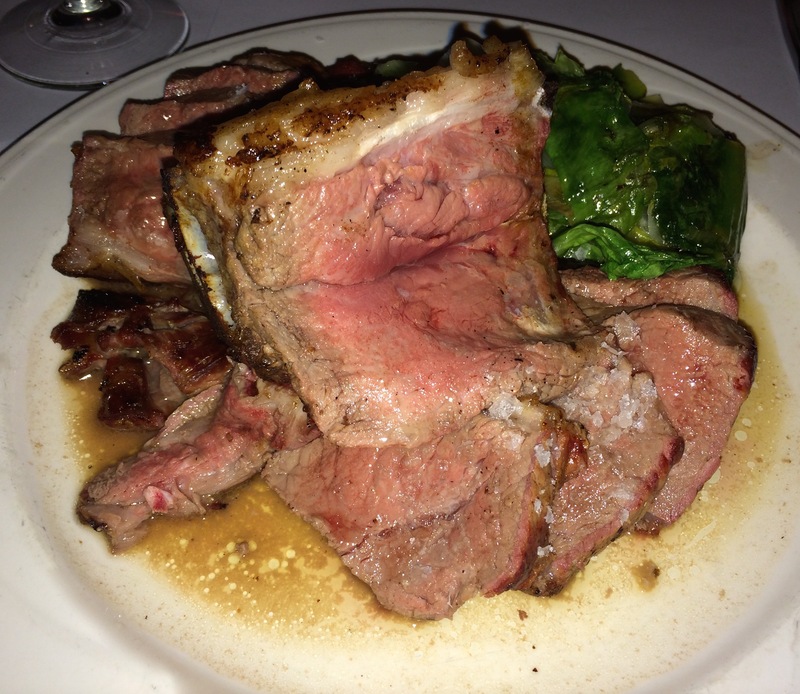 We always go to Peter Luger’s, will need to check this place out! I have never been but sounds like I should give it a try. The food and restaurant look fantastic. I may need to try the Mutton.